Final picture drawn for Drawlloween, was challenging this year as the daily themes were pretty vague, and led to some pretty weird drawings. I also didn’t draw one a day this year and played catch up at least twice, leading to some very rushed and uninspired drawings. 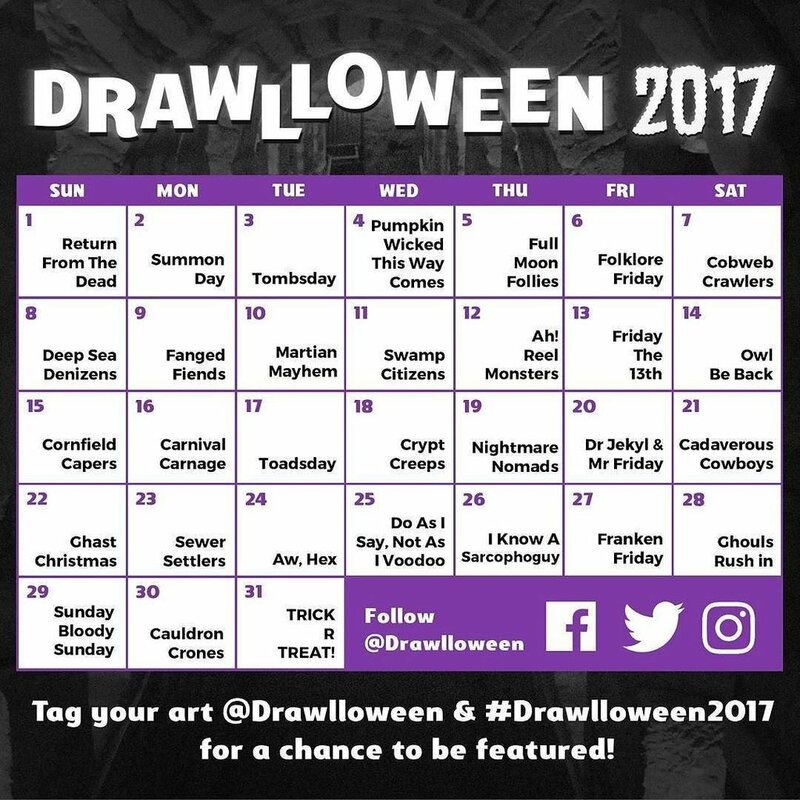 Below you can take a look at the pictures I drew for the second half of the month, from the 17th “Toadsday” to the 31st “Trick ‘R’ Treat”. Each picture has the date/number and the theme for that day. From this second gallery I think my favourites have got to be the 18th “Crypt Creeps” mainly as its from my favourite temple in Ocarina of Time, the 22nd “Ghast Christmas” and the 26th “I Know A Sarcophaguy” from Monkey Island 2. Thanks for looking and have a Happy Halloween 2017!